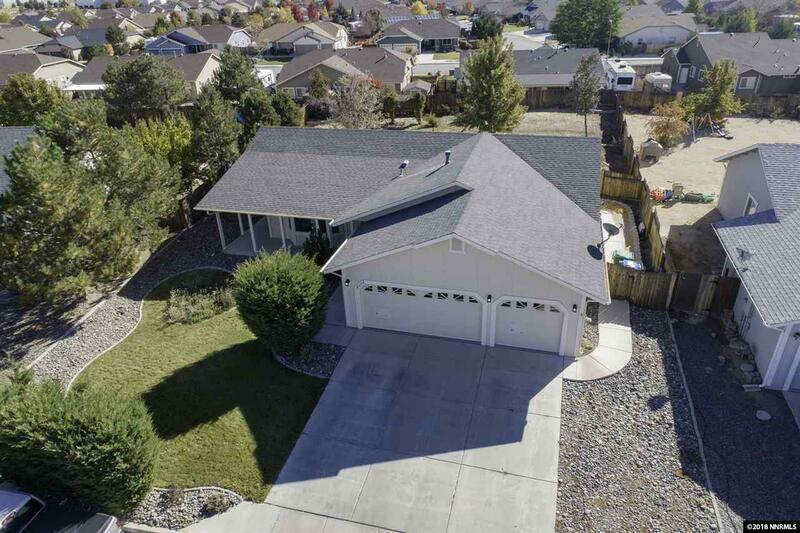 Welcome home to this inviting floor plan on a third of an acre in a highly desirable location in Spanish Springs. The nearly 1800 square foot home boasts an open floorplan with a great room off the kitchen. The kitchen includes a large granite slab island with a breakfast bar and plenty of seating which is complemented by a large dining nook. Lots of storage and an open layout makes this kitchen an entertainer's dream! Natural light throughout the home allows for a comfortable and inviting atmosphere.